I so often resist my impulses to clear things out because I’m busy and it seems like a waste of my valuable time to do this kind of work. But I’m gradually learning that these impulses are important signs that something new is ready to be born in my life, and I need to clear out to make space for it. I’ve been purging stuff like mad the last few weeks and am already feeling lighter and more open because of it. I can’t wait to see what is waiting to be born! 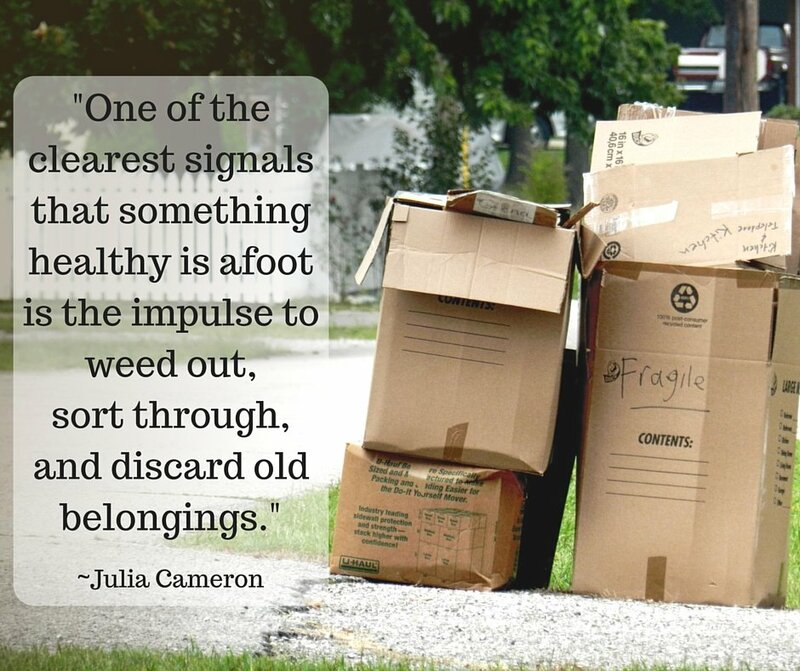 When was the last time you gave in to an impulse to weed out, sort through, and discard old belongings?